Love Finds You in Nazareth, Pennsylvania, my latest historical romance novel, released this month. To celebrate, I'll be giving away ten copies in November. To enter the contest, please leave a brief comment below with your email address. I will draw names on November 9th and email the winners. 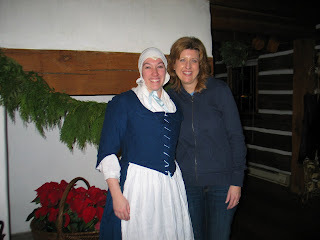 Christian and Susanna Boehler had never spoken when they were chosen by lot to marry in a Moravian community in Germany. 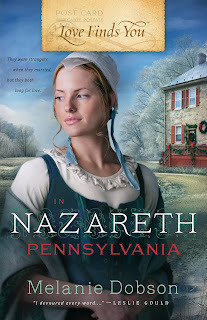 But in 1754, they travel to Pennsylvania with a dozen other newly married couples to establish the settlement of Nazareth and share their faith with the surrounding Indian nations. Just as Susanna’s heart begins to warm toward her husband, she learns that he had asked to marry another woman—and that he loves her still. As war rages between the British and French Indians and their young marriage faces hardship, will Susanna and Christian remain strangers in marriage, or will their hearts finally be united in love? The windows in Nazareth, Pennsylvania make the entire village glow during Christmas, each one lit with a solitary candle that beckons visitors inside, out of the snow. 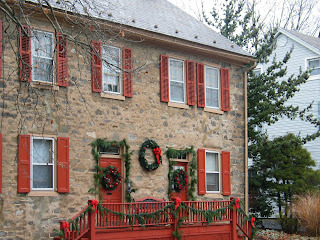 Pine wreaths wrapped in ribbons decorate painted doors. White stars adorn wooden and stone homes alike and twinkling lights color the evergreen that towers on Center Square. I spent several days last December in this magical village researching for Love Finds You in Nazareth, Pennsylvania. The citizens of Nazareth embrace Christmas with quiet charm, and in the midst of the décor and festivities, there is the constant reminder of the child who initiated this season, of the boy who lived an ocean away and almost two thousand years past in another village called Nazareth. Pennsylvania’s Nazareth is an eclectic mixture of both old and new. Colonial and contemporary. 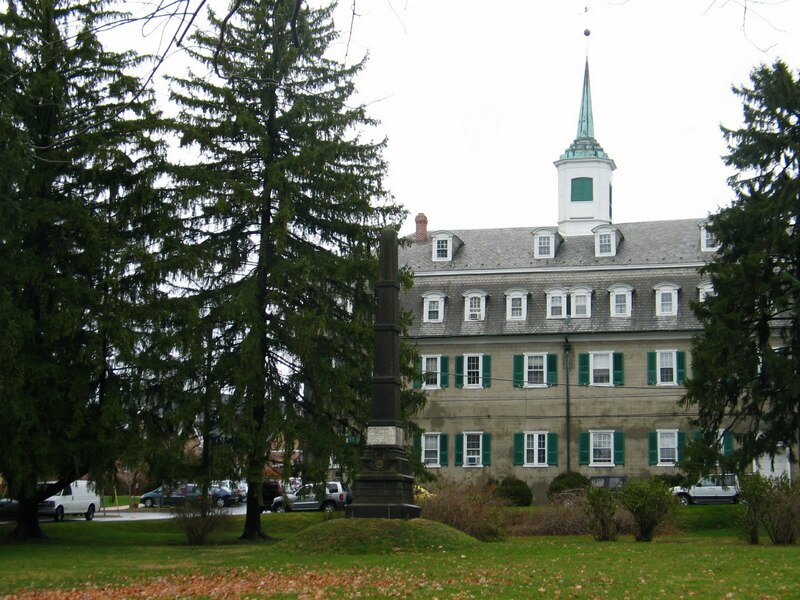 A gray stone hall, built in 1744 by the Moravians (Unity of the Brethren), anchors the east side of town, and sprinkled throughout the village are grand Victorian residences beside smaller clapboard homes. 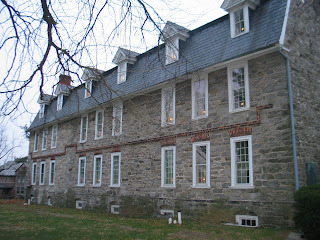 I spent hours in this stone building, now named the Whitefield House, as I read journals from the 1700s. What a delight it was to find records of my ancestor Maria Beroth in these journals as well as information about my great (to the fifth) grandparent’s marriage in Bethlehem in 1758. During my stay in Nazareth, I took a candlelight tour late one night and walked across the plaza below the grand manor built for Count Zinzendorf in the 1750s. During the day, I explored the quiet hillside above town where the first Moravian brothers and sisters were buried. From the Indian Tower, I could see miles and miles of hills, farmland, and forest. Before I left Nazareth, I drove to the Pocono Mountains just north of the village to experience just a small taste of how hard it would have been to be a Moravian missionary to the Indians, filled with both awe and fear as they traveled by foot across these mountains to visit the various settlements. Six thousand people now make Nazareth their home. While there are a variety of denominations and faiths represented among the residents, Moravian tradition is still embedded in the culture of Nazareth. 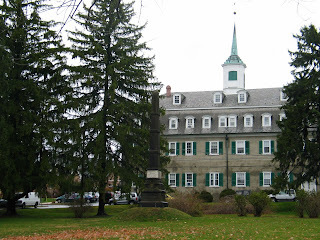 And the history of the Moravian people—the heritage of my ancestors—is threaded through the heart of the town.